I’m going to be honest here and say I’m not finding it easy to balance all of the different responsibilities I have now, in y’know, life. Mum. Wife. Daughter. Colleague. My time to just be in my own head to blog has been minimised to “if and when Adelyn naps at the weekend and I’m not catching up on sleep” (i.e. not all that often). There’s a pressure I’m putting on myself to give both Adelyn and Work my full energy as I’m invariably in the presence of one or the other, so it involves lots of rushing around and many attempts to ensure efficiency. And yet – I am still diligent about making food for Adelyn. Even though at the grand age of 1 she can eat what we eat, just a bit more smooshed up, I’m still preparing meals for the week for her so that I know she’s got home-cooked lushness even when I’m working. This meal came about as a result of having a bunch of odds and ends in the kitchen, brought together in a moreish garlicky white sauce. 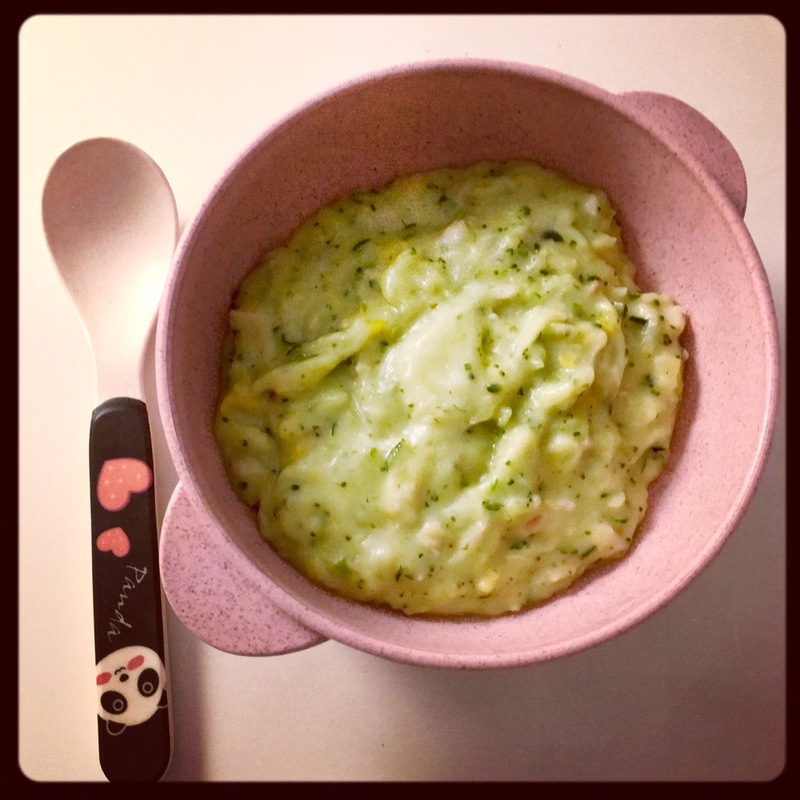 It did involve a few pots and pans to have things on the go at the same time but the end result is both nutritious and comforting – Adelyn couldn’t get enough! Preheat the grill and put a saucepan of water on to boil. Lightly oil a roasting tray then grill your chicken thigh for about 12 minutes, turning over halfway through. Put the potatoes and broccoli into the saucepan and boil for 10mins till soft, then drain and leave to cool slightly. Get a small saucepan and just lightly stir-fry the grated courgette for a couple of minutes, so that it’s softened slightly. To make the white sauce (and I might have my suggested amounts a bit off above as I tend to make this by eye, so I do apologise and will update once I get a better handle on the amounts!) get another sauce on a medium heat and melt your butter in it. Add the flour gradually, stirring all the while. It’ll “honeycomb” – i.e. bubble slightly and resemble honeycomb. Take it off the heat so that you can then better control the viscosity as you gradually add the milk to the pan – keep stirring to minimise it clumping too much. You should end up with a mixture of the consistency of decent custard. Finely grate the clove of garlic straight into the mix, along with your chopped sweetcorn, then pop back onto a medium heat to thicken a bit more so you have a creamy, thick texture going on. Season with a little black pepper if you feel so inclined. Now to combine everything. Lightly mash the potatoes and broccoli mix, then add the courgette. Pour in the white sauce and give it a stir to combine. Tear the chicken into fine strips with your fingers and just break or chop into little pieces. Then it’s up to you if you need to blitz it to a puree, blend it to a chunkier consistency (as in the photo above) or leave as is if your bubba has taken to chewing! These crumby little bites are perfectly sized snack for little ones, full of nutrition and home-baked so you know there are no weird preservatives in there. They’ve gone down a treat whenever I’ve offered them at play dates. 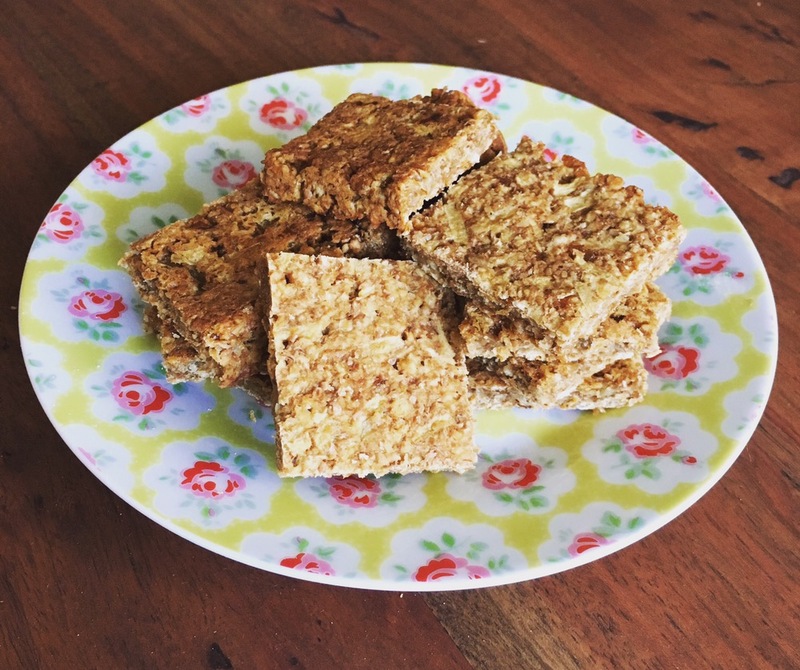 Think of them as a healthy version of a flapjack, only no way near as sweet. Admittedly these are maybe not sweet enough for the adult palate but watch your kid get crumbs EVERYWHERE as they get their nibble on with these. I’ve been using a porridge oat mix that Tescos have recently brought out which combines oatmeal, oat bran and wheat bran, but using oatmeal will also do nicely. Oat bran on its own lends an especially crumby and almost malty taste – try and see what suits your family. Apricots are a great source of Vitamin A (for healthy cell growth and immune system), fibre (keeping things *ahem* moving) and potassium (maintains blood pressure). Their natural sweetness combined with that of the apple mean you can bake without having to add sugar. I make a bigger batch of Apricot Purée than necessary as a teaspoon goes really nicely in porridge for the little ones. I like to think of it as jam that hasn’t been made out of refined sugar so is therefore safe. Preheat your oven to 200C and lightly oil a brownie tin or something of a similar size. Combine the oaty mix with the bicarbonate of soda and give it a little stir. Add the coconut oil and the grated apple and stir. Purée the apricots (if you haven’t already) and add approx 120g of the purée to the mix (pot up the rest of it and keep it in the fridge). Add the water a tablespoon at a time till you have a nicely formed mixture that holds together. Just leave it to rest for a minute or two. Pop the mixture into the prepared brownie tin and gently coax outwards to cover the tin. You’ll have a thin layer that should nicely spread out. Bake for 20-25 mins, until golden on top and coming away from the edge of the pan. Leave to cool before cutting into little squares – my brownie tin is square so I go for 5×5. Keep in an airtight container for up to one week. * For my own peace of mind I use organic and naturally dried apricots; these are darker in colour as a result of not being treated with sulphur dioxide. Christmas is coming, the Lee Family are getting fat. 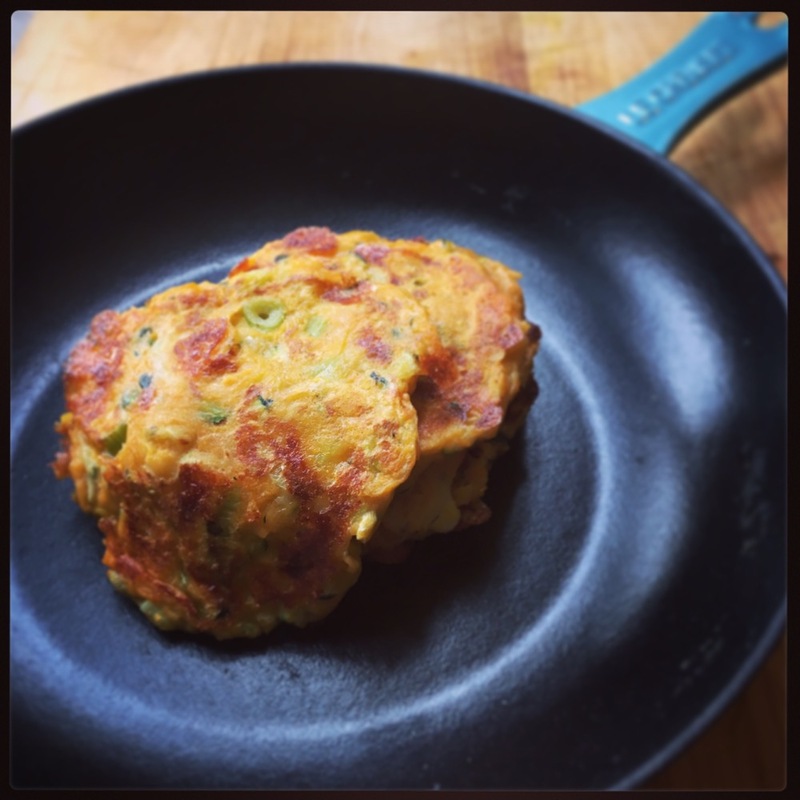 Sometimes, you just want to know that you have something virtuous but stonkingly yummy waiting for you, and I think this is one of those warming dishes that can be as naughty or nice as you like. My instinct is to carb load and then add cheese on top (see later) so I wanted to try out cooking up something that would, at it’s heart, be healthy, one-pot and easily modified to suit the needs of the family, and act as a great base for Christmas dinner leftovers. 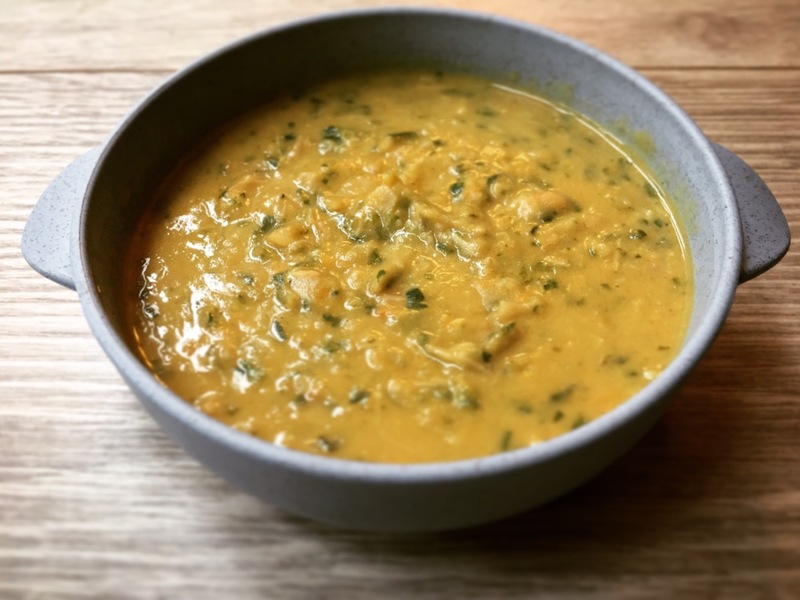 This dish is a Butternut Squash Chilli recipe, with a decent portion taken out of the main pot before you add the spices for the grown-ups and then cooked separately to include a cooked chicken thigh so that the little one gets a good dose of all important protein. In a large, heavy pot, heat the oil over medium-high heat. Fry the onions, peppers and garlic till softened for a few minutes. Add the courgette and sweetcorn, and cook till the courgette softens for another few minutes. Add the tinned tomatoes, beans and the stock then mix well. Allow to boil and then lower to a simmer for 15- 20 minutes. Add the spinach and simmer for another few minutes till wilted. At this point you then take out about 4-5 ladle scoops of the mix to pop into a small saucepan – this will become your Baby mix. To the main pot – this is when you add the flavour and spice to make it palatable for grown-ups! Add the chilli, cumin, cayenne and cocoa powder. Season to taste with salt and pepper and voila – finished. By all means, if you have leftovers from your Christmas meal, they’d make a tasty addition to the chilli. I served this with a sprinkling of Tabasco, garlic bread, avocado and cheese on top. Pop the small saucepan containing the Baby mix back onto a low-to-medium heat and add the 1/4 tsp cumin. It might seem a little strange to put a relatively strong tasting spice into baby food but babies apparently enjoy strong flavours – I can attest that Adelyn usually noms this down with gusto. Add the chicken too and allow to cook for another 10 minutes. I like to just place this on top of the mix, slightly submerged. Once it’s cooked, I can then easily scoop the chicken out and chop it up finely (if your baby is on Stage 3 weaning/can deal with texture/lumps). If your baby prefers a smoother texture, blitz the lot up and serve up a portion. Freezes well, just defrost and heat gently to eat.